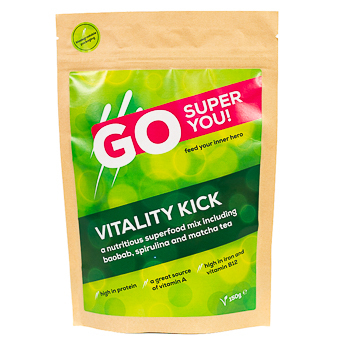 Meet Go Super You! A vibrant and exciting new range of superfood mixes, they harness the power of nature to help you with everything from mind to body. Lara and Henry have spent a great deal of time creating the range of blends, designing recipes and beautiful packaging. They needed images to use on their online shop, in their digital communications, and across their printed marketing collateral. 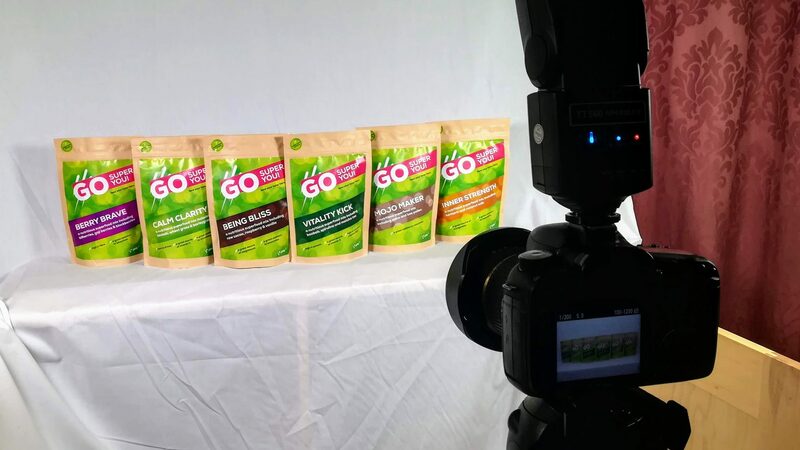 After discussing where the product shots were being used, we set to work in the studio and captured the front and back of all 6 products individually along with a couple of group shots. After a brief flurry through Lightroom, the images were delivered to the team and they have updated their website and social channels. 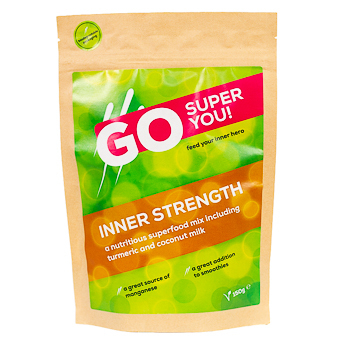 We are continuing to work with Go Super You on their brand assets and are looking forward to seeing their success as they expand their marketing. 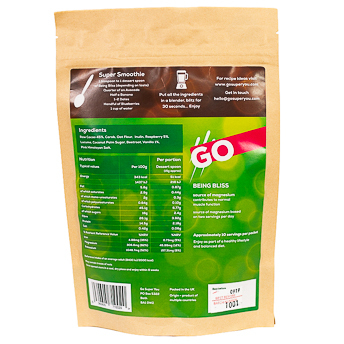 Be sure to keep your eyes peeled for a pouch on your local health food shop shelves.